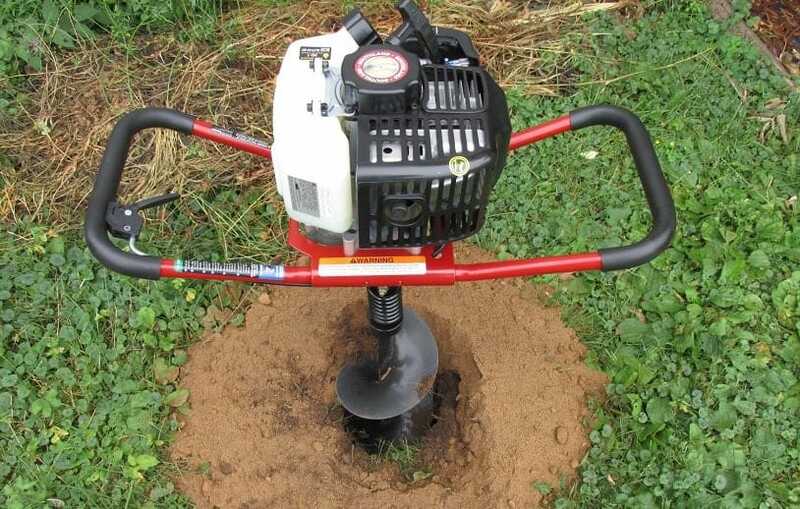 Using a gas powered auger to dig the holes for your fence posts is a lot less back breaking than the manual method. That doesn’t mean to say it’s all plain sailing however. Gas powered augers are heavy, (you may even have a 2 man model that requires the extra muscle power), and there is a certain amount of prep work that needs to be completed before you begin digging. So what is the best method to take when using a gas powered auger? That’s exactly what this guide is going to cover. By the end of this article you will know what you need to do, to efficiently dig your post holes with one of these handy machines. Before you even reach for the auger there are a few preparation steps you need to complete. As with any large power tool, safety equipment is a must. When operating a power auger you will need protective goggles and hearing protection. You never know when a chipped stone may fly into the air. Furthermore, the auger isn’t a quiet tool – a day’s work will certainly affect the eardrums if you do not have sufficient ear guards. Gloves and sturdy steel toe cap boots are also highly advised. You do not want the auger pole falling onto you unprotected feet. 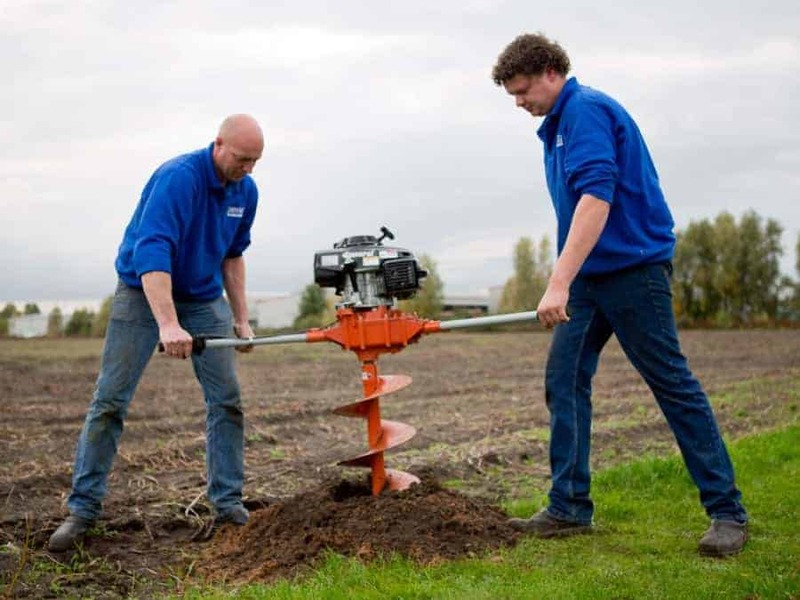 When using a power auger you are likely to be digging deeper than a small hand held post hole digger. This fact should not be taken lightly. If you do not check with the utility companies where certain lines are laid, you could very easily chop your way through power, gas or telecommunication lines. A simple phone call and most companies will send someone out to mark up the lines. It is in both theirs and your best interest to ensure services are not suddenly interrupted by a wayward hole. With the utility lines clearly marked you can now go about tracing the line that you wish to make with your fence. Whether you’re renting the auger (where time is money) or using your own and have accosted a friend for the day to help, you will want to minimise wasted time on ‘dig day’. Be sure to mark the exact centers of the holes with stakes. String attached to these stakes is perfectly adequate for creating the line that your fence will follow. (The video above covers this in detail). If the ground is hard where you plan to dig, after marking the posthole sites you can dig a shallow hole and fill that up with water. Fill the shallow holes with water over two or three days and you will find your job with the auger will be a lot easier. The final part of the preparation is basically going over your auger to make sure everything is working as it should. Make sure the oil levels are good, the gasoline is full (and that you have a spare tank available) and the auger bit is the correct size for the job. The last thing you want is to be up bright and early on dig day, to discover you’re low on supplies, or worse still, your auger is broken. 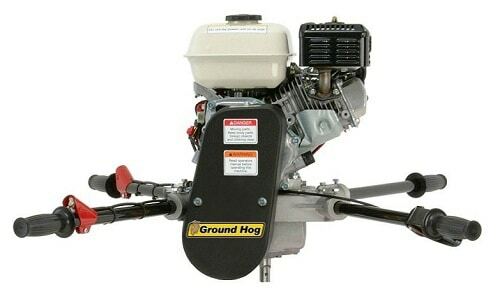 Even the smallest gas augers have a good amount of power under the hood. This means that as soon as you turn the throttle handle, you will feel the increased revolution of the motor and a clock wise force acting against the handle. It is your job (along with your partners on a two man digger) to hold the auger in place as the turning force is channelled into the soil. To best achieve this, the operator must brace their left side near the left handles in order to hold fast against the clockwise torque of the auger. With the digger held in place, the throttle action will spin the auger which will in turn upset the soil in the ground. You should make sure that you do not dig too deep without cleaning the raised dirt from the hole. If you fail to do this, the auger will need a lot of force to lift free of the earth. It may also get stuck. The collected earth should be held in one place ready for filling the hole after the poles are put into position. If however, you will be refilling the hole with gravel or cement, you will not need to be so careful with the soil. This means you can use the reverse throttle on the auger (so it spins anti-clockwise) to pull the earth from the ground. This is faster as the auger literally spits the soil from the hole rather than you digging it out. 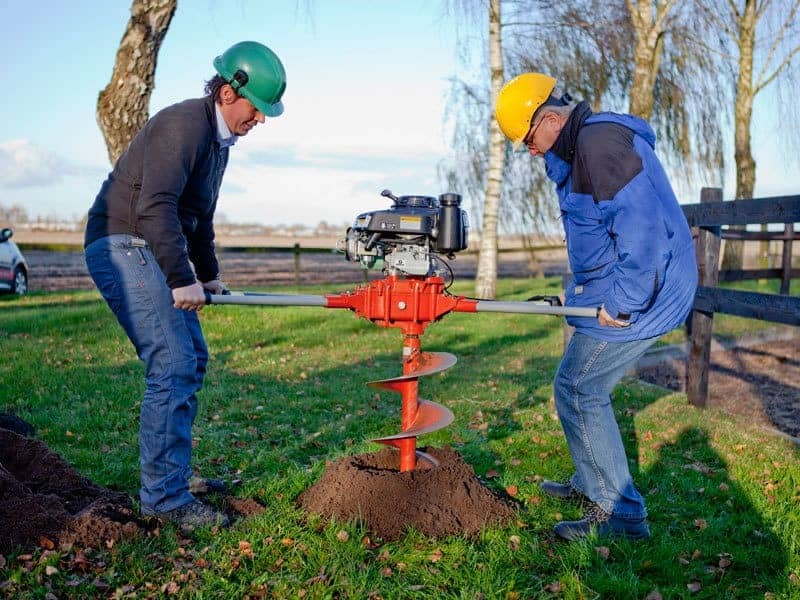 If the auger becomes jammed while you are digging, (this could happen through the soil not be cleared enough, or connection with a solid obstruction in the ground), you should release the throttle immediately. With the auger rotation stopped and the engine off, you can safely inspect the issue. You will also prevent the auger from getting jammed even more. If soil has jammed the earth auger, you may need to start digging (with the good old hand tools) around the auger to release it. Reversing the auger spin rotation may also help, however you should do this on a very low speed to start with to ensure no undue strain is placed on the motor. When you’re not using the auger, the recommended method of letting it rest is to shut it off and leave it vertically standing in one of the holes you have dug. Placing the auger sideways on the ground is ill-advised. Fuel could flood the motor, and oil may pass through into the air cleaner. Both will result in the auger having problems starting when you come to use it again. When you have finished for the day, the auger bit should be detached and the motor stored on its base in a dry workshop or garage. And there you have it, a quick and basic guide to operating your power auger. 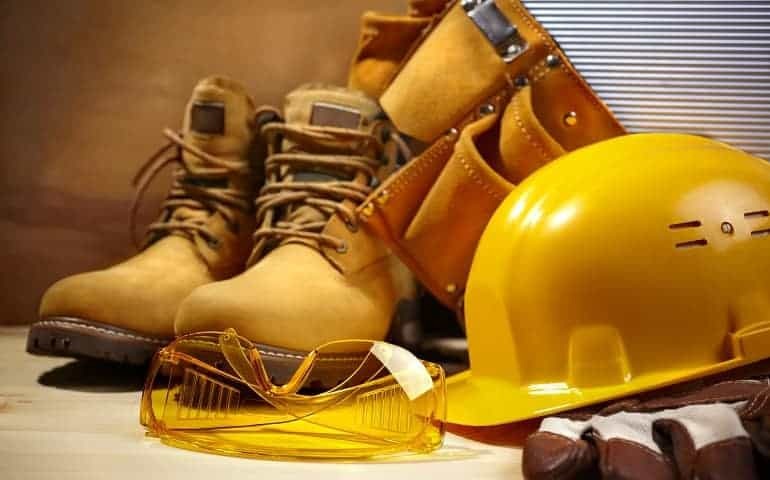 If you make sure you have done the preparation, and if need be have called upon a helping set of hands to assist you, you should have no problems when you come to dig.